Welcome to the TweetDeck Learning Guide! I’ll be updating the guide over the next few weeks. Until it’s up and running, I’m removing the active links to other pages. Thanks for your patience! This guide is to help you leverage any of the many varieties of TweetDeck to work for you. These guides are mostly limited to explaining each function, though I do occasionally offer advice on certain features. First, you need to choose which version of TweetDeck you’re using. 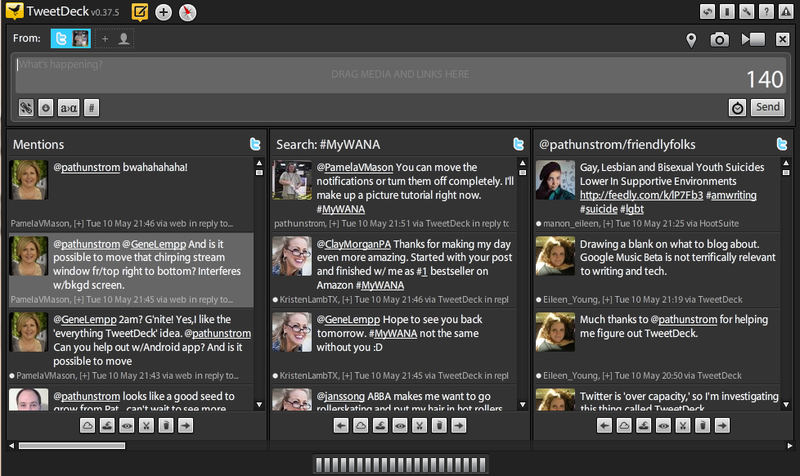 As you can see along the top of the TweetDeck home page are a list of options. Desktop, iPhone, Android, Chrome, and Web. Depending on which you picked, you’ll have slightly different features to work with. Click below to reach the tutorials for each version.